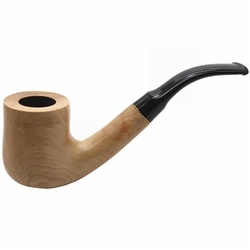 Dapper Large Brass Ring Olive Wood Pipe - 9mm - One of our largest Dapper olive wood pipes features a deep bowl and a long shank. 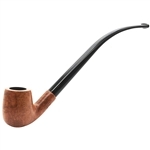 The maker's name is stamped on the side of the shank. The wood grain is a lighter color and is accentuated with a brass trim ring connecting the shank to a bent saddle stem. 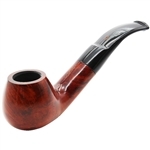 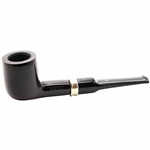 The vulcanite stem is 9mm giving the pipe an easy draw with or without a filter. 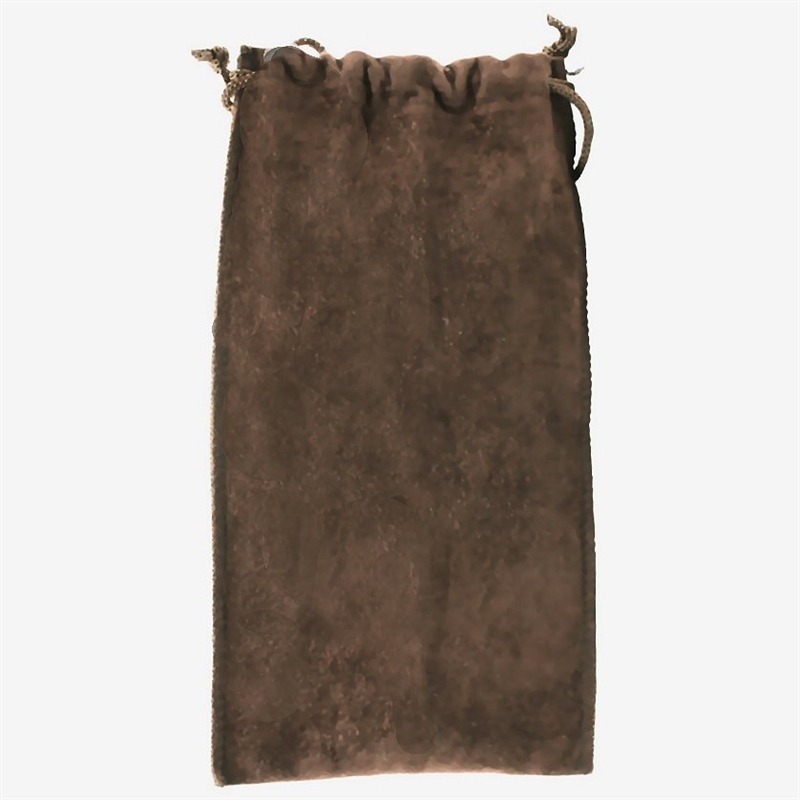 A brown velvet drawstring pouch is included.